This PDF 1.5 document has been generated by Microsoft® PowerPoint® 2010, and has been sent on pdf-archive.com on 04/05/2017 at 13:28, from IP address 191.32.x.x. The current document download page has been viewed 245 times. File size: 2.2 MB (19 pages). CARVALHO, I.S. (Editor). 2011. Paleontologia. Ed. 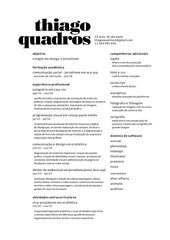 Interciência, 3ª. Ed., 3v. BENTON, M. 2006. 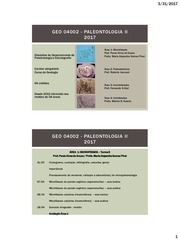 Paleontologia dos Vertebrados. Atheneu Ed., São Paulo, 432p. CAMACHO, H.H. &amp; LONGOBUCCO M. 2008. Los Invertebrados Fósiles. Vasquez Mazzini Ed. Buenos Aires. Tomo I e II. 785p. ENAY, R. 1993. Palaeontology of Invertebrates. Springer-Verlag Berlim Heidelberg. 287p. HOLZ, M. &amp; DE ROS, F (Eds.). 2000. Paleontologia do Rio Grande do Sul. UFRGS, CIGO, Porto Alegre, 398 p.
IANNUZZI, R. &amp; VIEIRA, C.E.L. 2005. Paleobotânica. Porto Alegre. Editora da UFRGS. KARDONG, K. 2002. Vertebrates: Comparative Anatomy, Function, Evolution. Mc Graw HillNew York, 762p. MOLINA, E. (Ed.). 2004. Micropaleontología. Colección Textos Docentes, Zaragoza, 704p. NIELD, E.W. &amp; TUCKER, V.C.T. 1985. Paleontology - An introduction. Pergamon Press. 178p. POUGH, F.; HEISER, J., MCFARLAND, W. 2003. A Vida dos Vertebrados. Atheneu Ed. São Paulo, 798 p.
STEARN, C.W. &amp; CARROL, R.L. 1989. Paleontology: The Record of Life. New York: John Wiley. 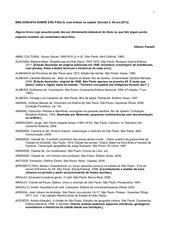 Ed., Academic Press, Elsevier Inc., 1088p. Calcários: foraminíferos, cocolitoforídeos, ostracodes, rodofíceas, etc. Parede orgânica: dinoflagelados, esporos, grãos de pólen, etc. This file has been shared by a user of PDF Archive. Document ID: 00592549.